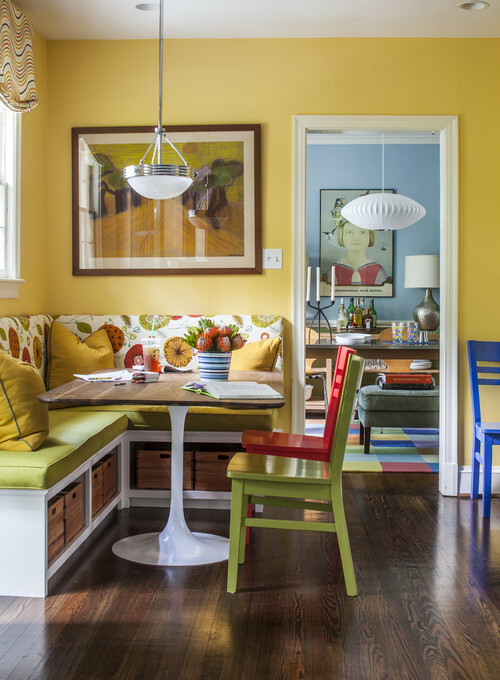 Are you looking for uncommon colors for your dining room? I have found a bunch of photos where I can share it with you. Another way of being thankful to browse online is to have ideas on what we can innovate in our dining room. I am sometimes tired of using common colors for dining room, however through the images that I’ll show you it would give you some motivation to update your room and make them be as lively as below. It's funny because I have that photo saved on my computer because someday I want to have this kind of color and setting in our old house when we finally go back there and settle for good. Lovely! Although, I do love white walls, but it doesn't hurt to put a punch of color. Ha, our dining room's wall color is yellow weee. We have a very boring dining area. We live in an apartment so pretty much we can't customize anything here. Love the first and second picture you shared.